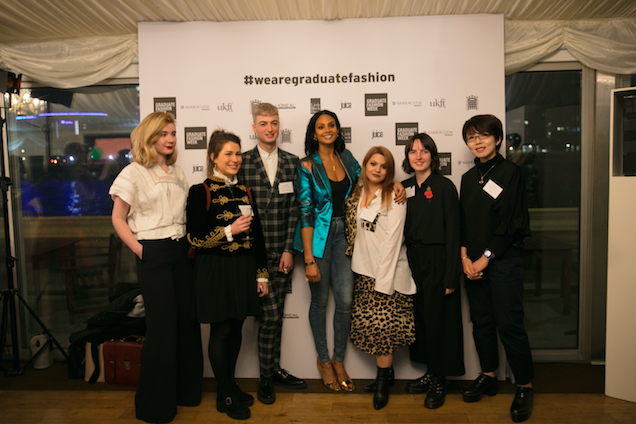 Tuesday 8th November 2016 saw Graduate Fashion Week, in association with Barracuda search Ltd and UKFT, host a catwalk show and reception for MPs and the crème of the fashion industry inside the Houses of Parliament to launch their 2017 programme. The charity was pleased to announced their very first Global Ambassadors, who will be joining the charity’s Patrons; Christopher Bailey MBE, Victoria Beckham, Nick Knight OBE and Dame Vivienne Westwood DBE RDI. The Global Ambassadors who include prestigious names such as Julien Macdonald, Mandi Lennard, Gok Wan, Susie Lau and Alesha Dixon, have each pledged to help mentor and support graduates nationwide in the upcoming year. The charity also announced the launch of a prominent nationwide bursary programme. Designed to help students in their final year, the scholarships will be available for students all across the United Kingdom – from Glasgow to Southampton. The programme will launch with 35 bursaries in 2016/17 and will grow exponentially in future years. In recognition of the year round work the charity does, the organisation’s name will change from Graduate Fashion Week, to the ‘Graduate Fashion Foundation’. The name of the annual showcase will remain Graduate Fashion Week. Attendees on the evening included Alesha Dixon, Mandi Lennard, Caryn Franklin, Zandra Rhodes, Touker Suleyman and Suzy Menkes. Guests viewed a fashion show featuring the Best of Graduate Fashion Week 2016 with designs from Hazel Symons (Christopher Bailey Gold Award Presented By Oracle & Creative Catwalk Award Winner), Qiwei Jiang (Marks & Spencer Womenswear Award Winner), Genevieve Devine (GFW 25th Anniversary Tu Scholarship Winner), Caoimhe Savage (Debenhams Menswear Award Winner), Antonia Nae (Lipsy Red Carpet Dress Competition Winner) and George Hollins (George Catwalk to Store Award Winner). During the past 26 years, Graduate Fashion Week has become one of the most significant, international events on the fashion calendar – an innovative showcase for the next generation of creative talents, and a springboard for new design labels. With thousands of the most promising students from around the world taking part each June, the four-day event attracts 30,000 guests including many notable industry figures from the UK and International top retailers and fashion brands included: Marks & Spencer, Burberry, Gareth Pugh, Giles Deacon, ASOS, H&M, Mothercare, Vivienne Westwood, Alexander Wang, George, Tu and Matalan. ‘It’s a great honour to be part of this unique charity which, over the past 25 years, has helped to launch the careers of many of today’s world renown designers,’ said Chairman, Mark Newton-Jones. ‘Today’s name change to the Graduate Fashion Foundation and our new bursary scheme with the support our global patrons and ambassadors, will ensure the legacy of our charity continues for many years to come,’ he added. This entry was posted in Fashion and tagged Graduate Fashion Week. Alesha Dixon on November 10, 2016 by admin.